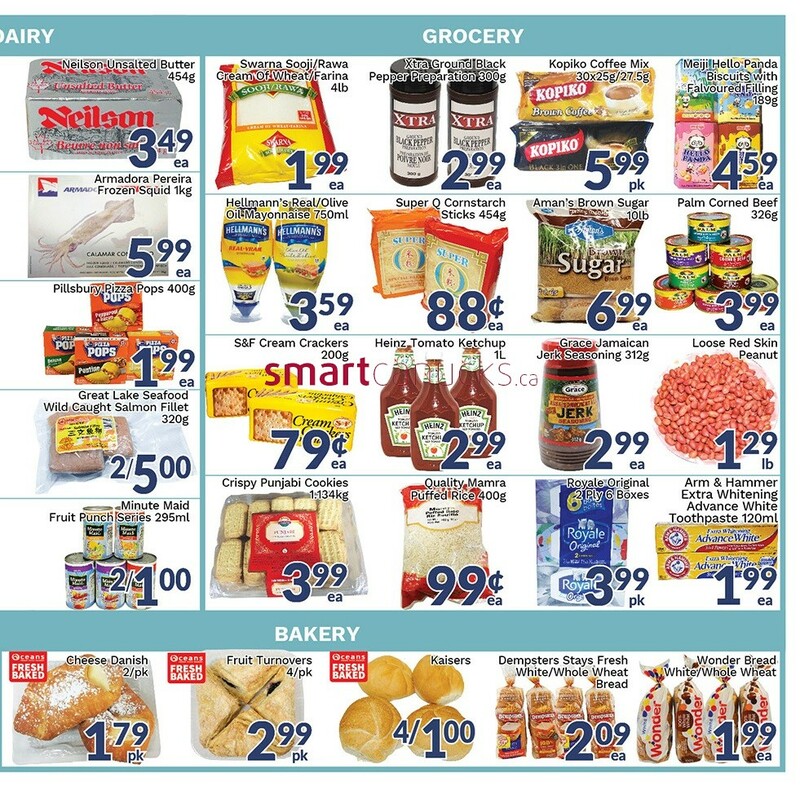 Oceans Fresh Food Market Canada Flyer April 6 - 12, 2018 - Nestle Kit Kat Wafer 110-147g Reg: $4.99-5.99 $399 EA Save $1-2. 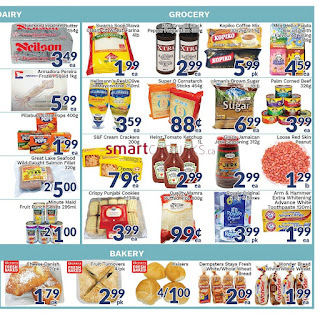 Mang Redro's,Chicharon 170g Reg: $5.49 $3.99 Save $1.50. Cream Silk Conditioner 180ml Reg $5.99 $1.99 Save $4.00. Regent Mini Cake 10x20g $.2.99/pk 2 for $3 save $2.89. 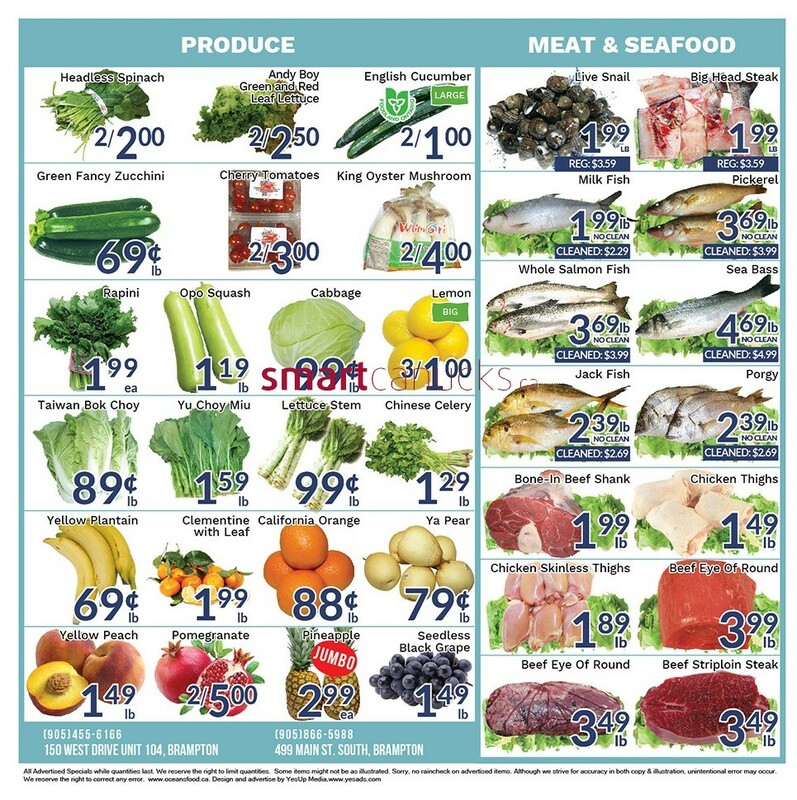 Oceans Fresh Food Market Canada Flyer Allen's Apple Juice 1.05L V 9- Reg: $1.99 99c EA Save $1.00. Shiseido Shampoo 600ml Reg: $15.99 $7.99 EA Save $8.00. Parle-G Biscuits 300g Reg: $1.49 99c EA Save $0.50. Pro Aloe Vera Drink 1.5L Reg: $1.99 $129 EA Save $0.70. Gourmet Wok with Tempered Glass Lid 30cm Reg: $19.99 $12.99 EA Save $7.00 Desi Garlic & Ginger 'Paste 750g Reg $4.99 2.99 EA Save $2.00. Guxin Four Red Peanuts 908g $5.29 3.99 EA Save $1.30. Bulacan Banana Chips 100g Reg $2.19 99 c ea Save $120. Dried Mushroom 400-454g Reg 13.99-14.99 $8.88 ea. Green Peas Snack 80-240g Reg $2.99 $1.99 Save $1.00. Red Drago Sour Bamboo Shoot 1.8kg Reg: $4.99 $2.99 EA Save $2.00. Vinamit Mix Fruit Chips Reg: $8.99 5.99 EA e $3.00. Farmer Brand Roasted peanut 400g $4.99 2.99 EA Save $2.00. Shan_Himalayan pink Salt Reg $4.29 1.99 ea Save $2.30. Haitai Honey Butter Chip 60g Reg 1.99 1.39 EA , Save $0.60. Al Rawada Dates 1kg Reg: $3.99 2.99 EA Save $7.00. Botan Calrose Rice 15Lb Reg: $14.99 10.88 bag save 4.11. 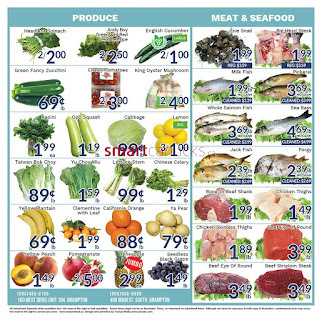 Udon Noodles 800g Reg: $2.99 $1.99 EA Save $1.00. Aurora Pasta Reg : $1.99 99 c ea Save $1.00. Little Angel Black Rice 4Lb Reg: $9.99 $5.99 EA Save $4.00. Chili Sauce 510ml Reg: $3.59 $1.99 EA Save $1.60. Nongshim Instant Noodles 5x120g Reg: $4.99 3.99 pk Save $1.00. Campbell's Soup Broth 900ml Reg: $2.99 $199 EA Save $1.00.